©YouTube “A photo of the black hole or of the eye of Sauron?”, Many wonder. Some astronomers proudly presented the first photo of a black hole. 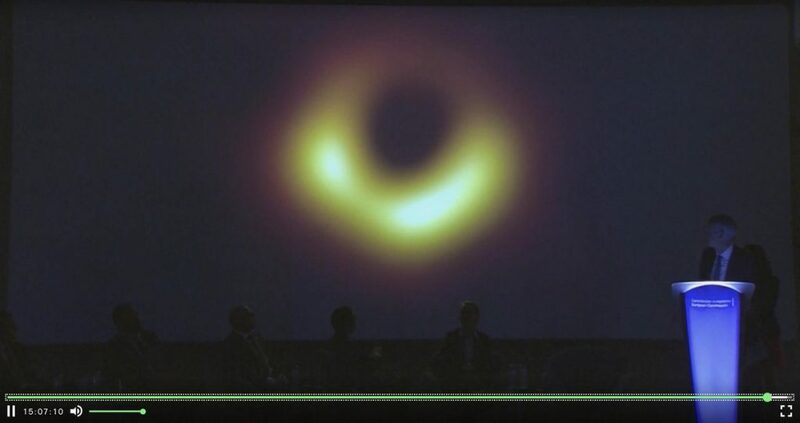 The photo – presented by the international cooperation Event Horizon Telescope (EHT) – shows a clear ring. In the middle there is a black spot, coming from the shadow of the observation horizon. The somewhat vague photo apparently left many unsatisfied. The historic photo is compared on Twitter with foods including a donut and a bowl of soup. But the photo mainly rings a bell with fans of The Lord of the Rings. According to them, the black spot looks suspiciously to Sauron’s eye. What is really on the photo? A black spot that is three million times as large as our earth, almost as large as our entire solar system, and 6.5 billion times as heavy as the sun. “The heavyweight champion of all black holes in the universe,” according to astronomers.